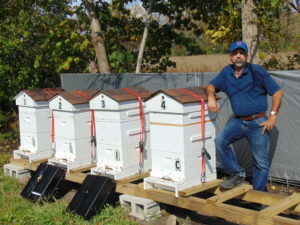 Vince Melillo of Belvidere began beekeeping this year and has already seen great success. Vince Melillo of Belvidere had been hearing about beekeeping for months before he made the decision to attempt it himself. “A friend of mine was doing it and couldn’t stop talking about it. I thought ‘I should do this,’” he said. He learned about bees, built two hives, his bees arrived in April, and Fernvalley Honeybees was born. Melillo has been documenting his fledgling business on YouTube. He split his hives in July and now has four producing hives still within his first year of beekeeping. “Normally in your first year you won’t get honey,” Melillo said. “Because you want to build your colony up, but these frames have honey in them. I was able to collect 80 pounds of honey and I am not collecting any more this year. I sold it all within three weeks. A lot of people are buying local honey for their allergies. Others use it in tea or on muffins, oatmeal, or bread. “The hives have frames that the bees use to store their honey. I leave enough room between frames so the bees can build up their combs. When I am ready to harvest the honey, I scrape the cappings off the combs and use the extractor to spin the honey out. Then I strain the honey to make sure the cappings are all out. I strain it a second time and, if needed, I use a spoon to remove any tiny cappings that are still there. 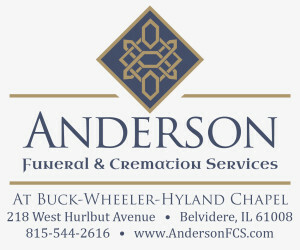 For complete article, pick up the Nov. 29 Belvidere Republican.